With his ginger and white coat, affection for the sun and sheer patience, it’s not hard to see the similarities Red Phoenix shares with the mythical bird of the same name. 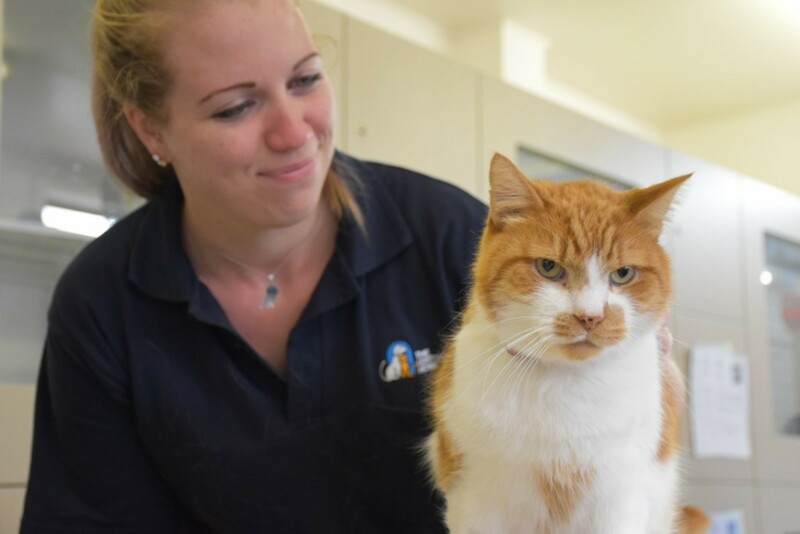 Affectionately known at the shelter as ‘Red’, this gentle giant is an inquisitive five-year-old domestic short hair cross, who enjoys spending his days lounging in warm sunny locations. We first met Red way back in July 2014 when he was brought into our care at our North Melbourne Shelter. “When he was first brought in, Red showed signs of Struvite crystals,” said our senior veterinarian Dr Alan Bolton. “The crystals are made up of magnesium, ammonium and phosphate and form when cats cannot tolerate the levels of these minerals in their diet. After spending more than six months in the shelter watching his condo mates be adopted, Red went into foster care with Jazz — our cat attendant and regular foster carer — to recharge in a home environment. “Red is a very confident and inquisitive cat,” said Jazz. “It didn’t take him long to settle in, after a bit of an explore it was like he had been here all along. To manage Red Phoenix’s condition Jazz was given information on the best diet for him and was advised to monitor his urine regularly. Jazz believes Red Phoenix is an ideal match for an experienced cat owner who is happy to have him as the main feline of the house, as he isn’t the biggest fan of other cats. Red Phoenix, like all of our adoption candidates has received a full health check, has been vaccinated, wormed, desexed and microchipped. Think you could be Red’s Paw-Mate? 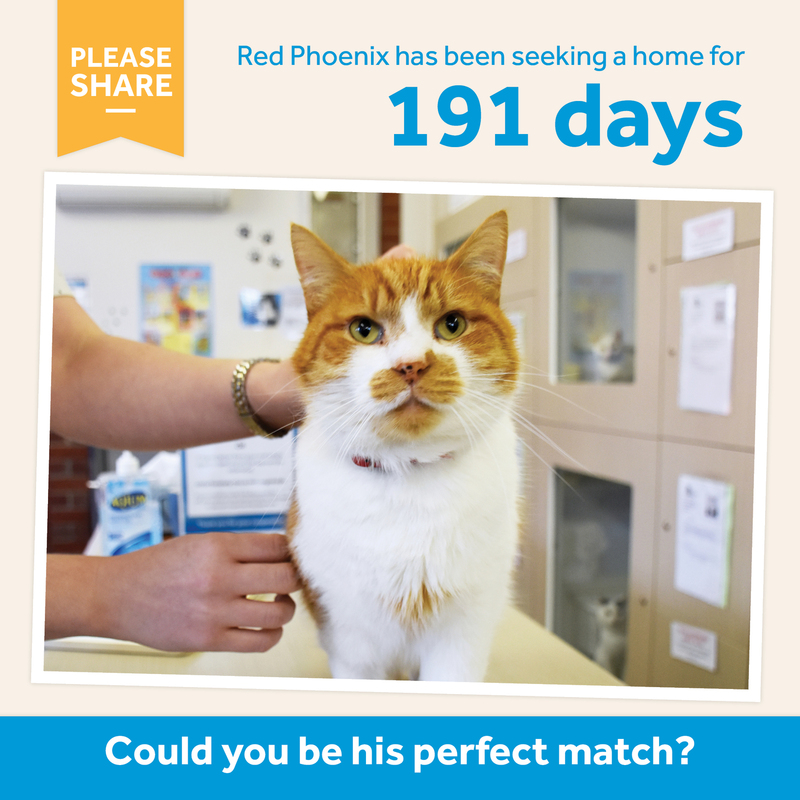 If you are ready to help Red Phoenix rise and take flight into his new and forever home, please check out his profile, call our North Melbourne shelter on 03 9329 2755 or visit him in person.